The value of a good drink bottle can never be underestimated – as many parents know, it can feel like it takes three hundred bottle purchases before you find the right one. It shouldn’t leak and needs to be hardy for all the knocks and scrapes it will receive in its lifetime. It also needs to be age appropriate as well as stylish – we just wouldn’t be Babyologists if that weren’t a factor! We’ve lined up a fab selection of drink bottles for you, so look no further in your back to school search. First up is the gorgeous KOR Delta bottle (above) – stunning and BPA-free, there are no nasties hiding in the plastic. The Delta comes in two handy sizes; 500ml for $22.95 and 750ml for $29.95. We’d recommend the smaller size for primary school-aged children and the bigger one for high schoolers and adults. Buy both in the colour of your choice from Birthday Room. Sweet and fresh-looking, the drink bottle range from Stuck On You ticks all the right boxes – made from food-grade stainless steel, BPA-free and personalised in impossibly cute ways with pictures to choose and a name to add. They’re just $24.95 from Stuck On You. SIGG have always released fab designs and I fondly remember my oldest son’s first SIGG bottle with giraffes on a yellow base. 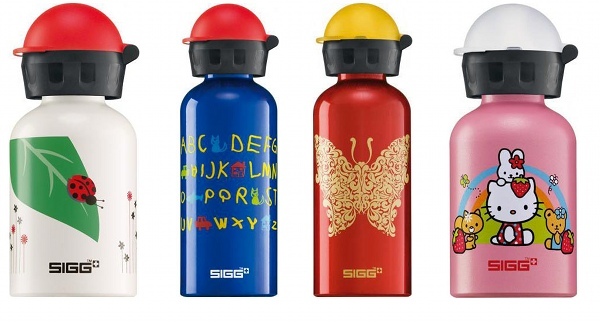 With everything from cute to more sophisticated designs, Kitchenware Direct stock a large range of 300ml and 400ml kids’ SIGG bottles, and a few of the 600ml designs. They start at $32.60 and will really go the distance. Replacement parts are readily available too. 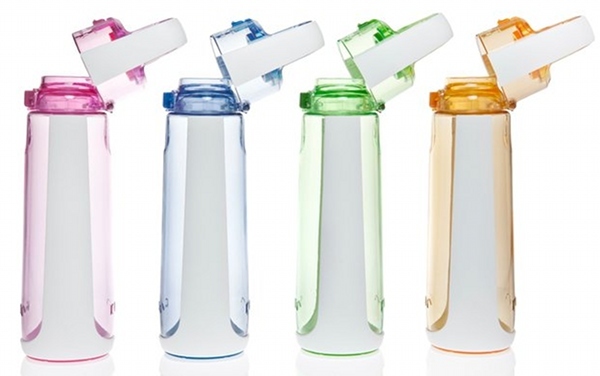 The trusty Contigo Swish – a longtime favourite of the Babyology team for its no leak, easy to use patented Autoseal lid. When we say there are no leaks and no spills, it’s absolute gospel! Available in two kid-friendly sizes (as well as adult sizes too) – the 250ml is $11.95 and the 500ml is $14.95 at Bonito Baby. 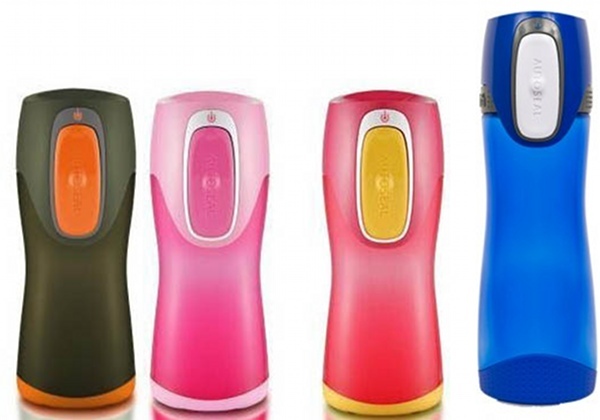 These smart, funky bottles have their very own filter system within. The Bobble’s carbon filter removes chlorine and organic contaminants found in tap water and only needs to be replaced once every two months. The 550ml Bobble is $12.95 and the replacement filters are $9.95 each at Kitchenware Direct. There is also a one litre version available for $16.95. 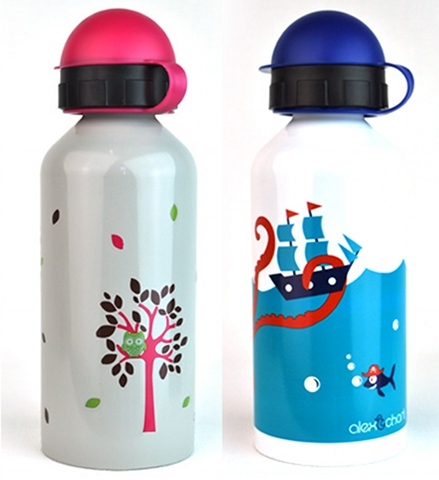 These 500ml stainless steel cuties by Alex & Charli will make any little lunchbox stand out! They’re $17.50 from Lime Tree Kids and come beautifully packaged in a white box for gift giving. There are other styles for younger children and toddlers so make sure you browse the range. 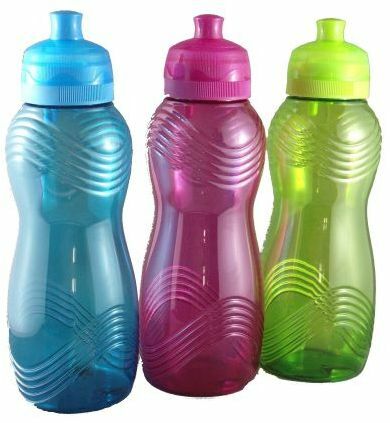 The cheerful Sistema 600ml drink bottle is BPA-free and will wash and wear its way through the school year with ease. It has Sistema’s twist ‘n’ sip lid and can be popped in the freezer for icy cold drinks on those swelteringly hot summer school days in February. 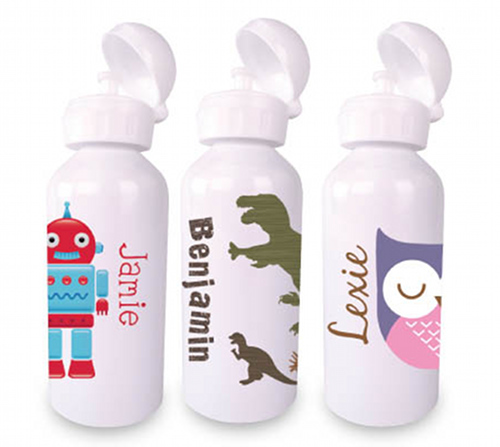 They’re $13.50 each from Name Your Dummy, which also stocks other Sistema drink bottles.